Cisco Talos is disclosing an information leak vulnerability in the ccSetx86.sys kernel driver of Symantec Endpoint Protection Small Business Edition. The vulnerability exists in the driver’s control message handler. An attacker can send specially crafted requests to cause the driver to return uninitialized chunks of kernel memory, potentially leaking sensitive information, such as privileged tokens or kernel memory addresses that may be used to bypass kernel security mitigations. An unprivileged user can run a program from user mode to trigger this vulnerability. 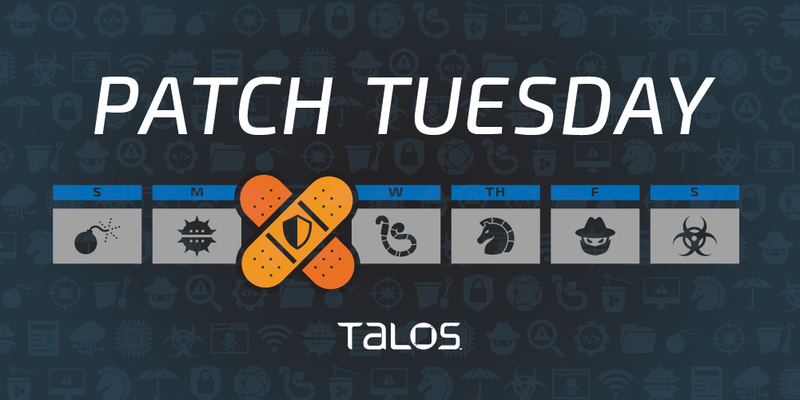 In accordance with our coordinated disclosure policy, Talos worked with Symantec to ensure that a patch is available for this vulnerability. Warren Mercer and Paul Rascagneres authored this post. Update 4/24: The C2 section below now includes details around the XOR element of the C2 communication system. In November 2018, Cisco Talos discovered an attack campaign, called DNSpionage, in which threat actors created a new remote administrative tool that supports HTTP and DNS communication with the attackers' command and control(C2). Since then, there have been several other public reports of additional DNSpionage attacks, and in January, the U.S. Department of Homeland Security issued an alert warning users about this threat activity. In addition to increased reports of threat activity, we have also discovered new evidence that the threat actors behind the DNSpionage campaign continue to change their tactics, likely in an attempt to improve the efficacy of their operations. In February, we discovered some changes to the actors' tactics, techniques and procedures (TTPs), including the use of a new reconnaissance phase that selectively chooses which targets to infect with malware. In April 2019, we also discovered the actors using a new malware, which we are calling "Karkoff." This post will cover the aforementioned DNSpionage updates, the discovery of the Karkoff malware and an analysis of the recent Oilrig malware toolset leak — and how it could be connected to these two attacks. Today, Talos is publishing a glimpse into the most prevalent threats we've observed between April 12 and April 19. As with previous roundups, this post isn't meant to be an in-depth analysis. Instead, this post will summarize the threats we've observed by highlighting key behavioral characteristics, indicators of compromise, and discussing how our customers are automatically protected from these threats. Newsletter compiled by Jonathan Munshaw. If you haven’t yet, there’s still time to register for this year’s Talos Threat Research Summit — our second annual conference by defenders, for defenders. This year’s Summit will take place on June 9 in San Diego — the same day Cisco Live kicks off in the same city. We sold out last year, so hurry to register! 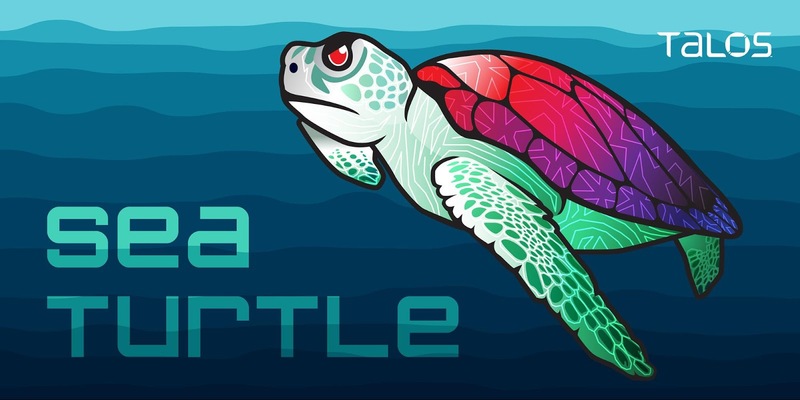 The top news this week is, without a doubt, Sea Turtle. Wednesday, we posted our research related to this DNS hijacking campaign that has impacted countries around the world and is going after government agencies, many dealing with national security. You can check out all the details here. 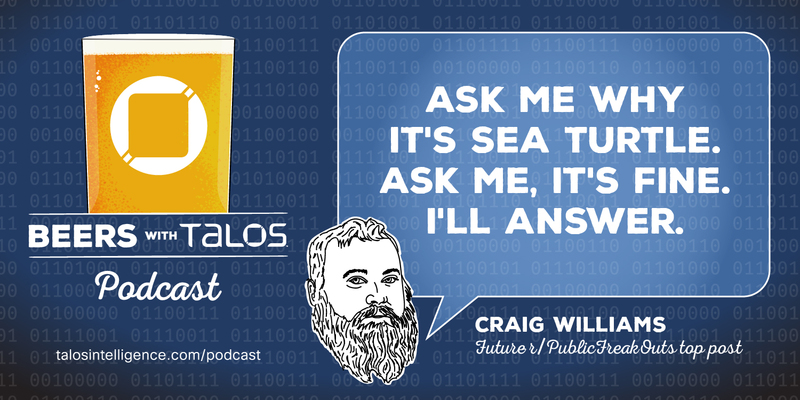 This week’s episode of the Beers with Talos podcast also discusses Sea Turtle. And while it didn’t grab as many headlines, we also wrote this week about HawkEye Reborn, a variant of the HawkEye malware. The keylogger recently changed ownership, and the new actors behind the malware have recently made a sizable push to infect users. Also, take a look below to find out new information regarding LokiBot. Recorded April 12, 2019 — Today, we rip through a few other things to spend most of our time discussing Sea Turtle, the latest DNS hijacking campaign discovered by Talos. Also, Joel causes the biggest blockchain outburst in some time. Special thanks for today’s podcast goes to Danny Adamitis, the main Talos researcher on the Sea Turtle campaign. Danny was going to be with us today, but experienced some technical issues that prevented that from happening. RIP Danny’s mic: 4-12-19. Authors: Danny Adamitis, David Maynor, Warren Mercer, Matthew Olney and Paul Rascagneres. This blog post discusses the technical details of a state-sponsored attack manipulating DNS systems. While this incident is limited to targeting primarily national security organizations in the Middle East and North Africa, and we do not want to overstate the consequences of this specific campaign, we are concerned that the success of this operation will lead to actors more broadly attacking the global DNS system. DNS is a foundational technology supporting the Internet. Manipulating that system has the potential to undermine the trust users have on the internet. That trust and the stability of the DNS system as a whole drives the global economy. Responsible nations should avoid targeting this system, work together to establish an accepted global norm that this system and the organizations that control it are off-limits, and cooperate in pursuing those actors who act irresponsibly by targeting this system. 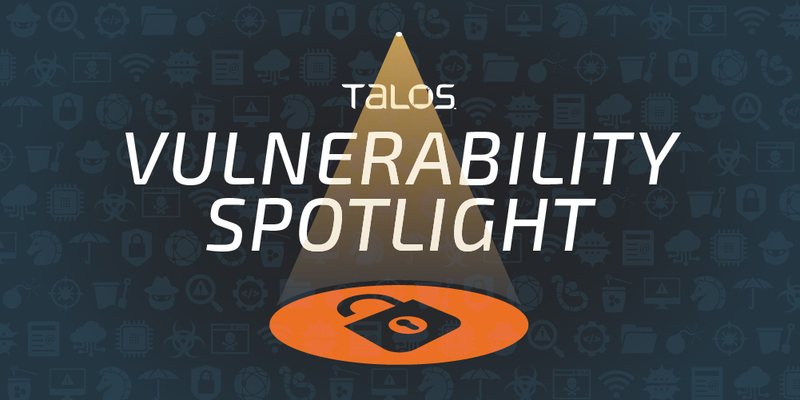 Piotr Bania of Cisco Talos discovered this vulnerability. VMware Workstation 15 contains an exploitable denial-of-service vulnerability. Workstation allows users to run multiple operating systems on a Linux or Windows PC. An attacker could trigger this particular vulnerability from VMware guest user mode to cause a denial-of-service condition through an out-of-bounds read. This vulnerability only affects Windows machines. In accordance with our coordinated disclosure policy, Cisco Talos worked with VMware to ensure that these issues are resolved and that an update is available for affected customers. Cisco Talos is disclosing a series of vulnerabilities found in the Shimo VPN Helper Tool. Shimo VPN is a popular VPN client for MacOS that can be used to connect multiple VPN accounts to one application. These specific vulnerabilities were found in the “helper tool,” a feature that Shimo VPN uses to accomplish some of its privileged work. These vulnerabilities are being released without a patch, per our disclosure policy, after repeated attempts were made to communicate with the vendor. 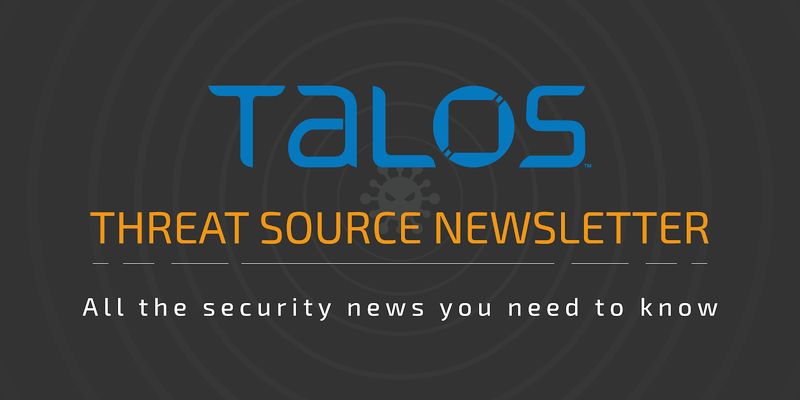 Today, Talos is publishing a glimpse into the most prevalent threats we've observed between April 05 and April 12. As with previous roundups, this post isn't meant to be an in-depth analysis. Instead, this post will summarize the threats we've observed by highlighting key behavioral characteristics, indicators of compromise, and discussing how our customers are automatically protected from these threats. We made waves this week with an article on malicious groups on Facebook. We discovered thousands of users who were offering to buy and sell various malicious services, such as carding, spamming and the creation of fake IDs. News outlets across the globe covered this story, including NBC News, Forbes and WIRED. There’s also new research on the Gustuff malware. 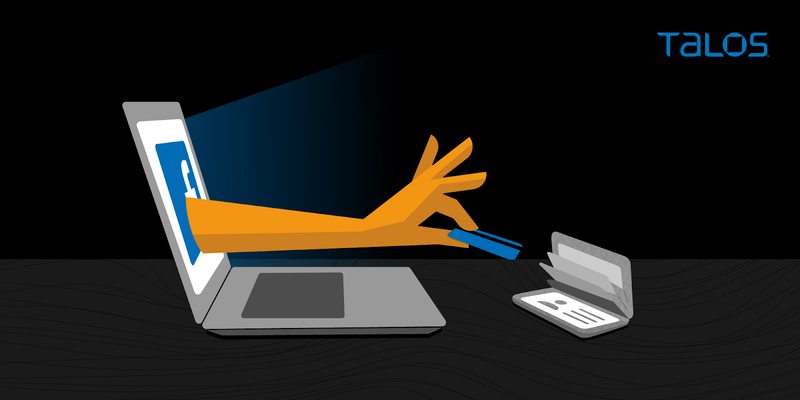 Researchers discovered this banking trojan earlier this year, and recently, we tracked it targeting Australian users in the hopes of stealing their login credentials to financial services websites. Post authored by Nick Biasini and Jaeson Schultz. Sextortion spammers continue blasting away at high volume. The success they experienced with several high-profile campaigns last year has led these attackers to continue transmitting massive amounts of sextortion email. These sextortion spammers have been doing everything they can to keep their approach fresh. Not only does this help sextortionists evade spam filters, increasing their chances of landing in recipients' inboxes, but it also ups their chances of finding a message that has language that resonates, convincing potential victims that the perceived threat is indeed real. Let's take a look at some of the recent changes we've seen in the sextortion email landscape. Aleksandar Nikolic of Cisco Talos discovered these vulnerabilities. In accordance with our coordinated disclosure policy, Cisco Talos worked with Adobe to ensure that the issue is resolved and that an update is available for affected customers. Vitor Ventura authored this post. Cisco Talos has uncovered a new Android-based campaign targeting Australian financial institutions. As the investigation progressed, Talos came to understand that this campaign was associated with the "ChristinaMorrow" text message spam scam previously spotted in Australia. Although this malware's credential-harvest mechanism is not particularly sophisticated, it does have an advanced self-preservation mechanism. Even though this is not a traditional remote access tool (RAT), this campaign seems to target mainly private users. Aside from the credential stealing, this malware also includes features like the theft of users' contact list, collecting phone numbers associated names, and files and photos on the device. But that doesn't mean companies and organizations are out of the woods. They should still be on the lookout for these kinds of trojans, as the attackers could target corporate accounts that contain large amounts of money. The information collected by the malware and the control over the victim's mobile device allows their operators to perform more complex social engineering attacks. A motivated attacker can use this trojan to harvest usernames and passwords and then reuse them to login into the organization's system where the victim works. This is a good example where two-factor authentication based on SMS would fail since the attacker can read the SMS. Corporations can protect themselves from these side-channel attacks by deploying client-based two-factor authentication, such as Duo Security. Microsoft released its monthly security update today, disclosing a variety of vulnerabilities in several of its products. The latest Patch Tuesday covers 74 vulnerabilities, 16 of which are rated “critical” and 58 that are considered “important.” This release also includes a critical advisory covering a security update to Adobe Flash Player. This month’s security update covers security issues in a variety of Microsoft’s products, including the Chakra Scripting Engine, Microsoft Office and Windows 10. For more on our coverage of these bugs, check out the Snort blog post here, covering all of the new rules we have for this release. Today, Talos is publishing a glimpse into the most prevalent threats we've observed between March 29 and April 05. As with previous roundups, this post isn't meant to be an in-depth analysis. Instead, this post will summarize the threats we've observed by highlighting key behavioral characteristics, indicators of compromise, and discussing how our customers are automatically protected from these threats. Recorded March 29, 2019 - Matt and Joel are both on the road this week, and Omar Santos from Cisco PSIRT joins the crew to discuss malware posing as ransomware and defending against supply chain attacks. 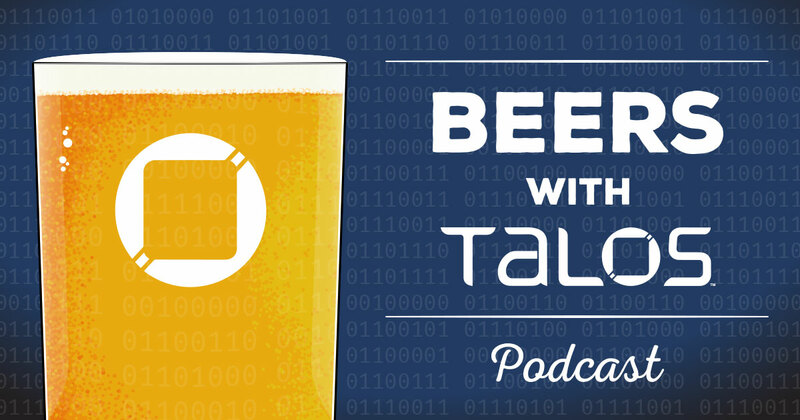 We go deeper on the Talos story exposing criminal groups operating in the open on social media platforms like Facebook and the implications of criminal groups leveraging social networking. Facebook has removed the disclosed groups, so we discuss the best-effort ways to play whack-a-mole with bad guys on the open web. This blog was written by Jon Munshaw and Jaeson Schultz. 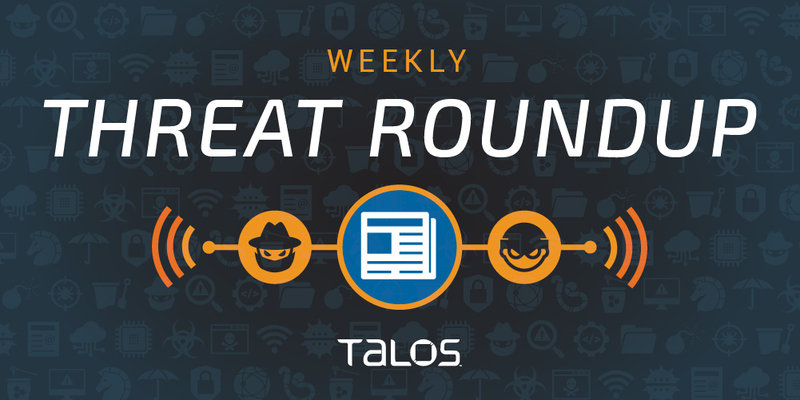 Over the past several months, Cisco Talos has tracked several groups on Facebook where shady (at best) and illegal (at worst) activities frequently take place. The majority of these groups use fairly obvious group names, including "Spam Professional," "Spammer & Hacker Professional," "Buy Cvv On THIS SHOP PAYMENT BY BTC 💰💵," and "Facebook hack (Phishing)." Despite the fairly obvious names, some of these groups have managed to remain on Facebook for up to eight years, and in the process acquire tens of thousands of group members. In all, Talos has compiled a list of 74 groups on Facebook whose members promised to carry out an array of questionable cyber dirty deeds, including the selling and trading of stolen bank/credit card information, the theft and sale of account credentials from a variety of sites, and email spamming tools and services. In total, these groups had approximately 385,000 members.